WHAT ARE THE BASICS OF ARCHITECTURE? Before you can start learning the basics of architecture, you need to ask yourself just one question: what are the basics of architecture? The basics of architecture revolve around certain terms that help to define what architecture as a discipline is. The first term would be space. Considerably, the main substance and element of any architectural project and it’s the main focus of affection and manipulation of every architect. The other basic element is an idea or a concept. Great projects need to have something that will hold them together and usually, it’s an idea or a concept that determines the function of the project. The third basic term is form. The form is hard to explain but it helps to organize and determine space needed for a certain project. It’s usually a way of expression. Form and space are inseparable. The next basic term is clarity or unity. Even though conceptually different in their meaning, both terms are considered to be central terms in the modern form of architecture. That leads us to the next term which is context. Not so long ago, the term for context was the site but in the modern architecture, the developers now use a term context. Site was usually related to a physical place where a certain building will be constructed or a project will be planned. Context is almost the same only it includes much more than just a physical place. It includes social and cultural aspects, patterns of informal and formal use, demographics and the entire history of the place in question. Finally, we come to a function which is one of the primary aims of the overall design. A function is changeable and more fluid and will determine the function of the entire project. Since people realized that there is much more to architecture than just building and constructing, they started exploring further and further the importance of it as well as its significance. They came to a conclusion that architecture indeed has the ability to tell tales. Tales of old and history that are capable of invoking various feelings. The ancient cities that get discovered can tell entire stories about their origins from the way they were built. Some cities, buildings and streets speak of military pride, aggression or chaos while others tell of gentleness, generosity and graceful dignity. It all actually depends on the state of mind of a beholder. Some might think that it is oversensitive and pretentious to give significance to something as external as a simple building but understanding that very significance might give away much more important data than who built it or why. That is very closely related to the latest survey that proved that architecture greatly affects our psychological states. By getting in touch with texture, shape and color of the walls, our mood changes and we tend to feel a lot of different feelings mixed together. Most public objects are usually the biggest and every time you walk by them or enter them, you get a certain feeling. The level of architectural mastery will invoke certain feelings about the way a certain object was built, shaped and colored. So, in a modern world where visual is almost everything, we can safely say that architecture has more influence than ever before. The most modern latest concepts include the very top of architectural mastery where designers and planners and architects are working all together to come up with the best sustainable solutions that will contribute to the living environment where the project is being built. Since the green surfaces are far lesser than they ever been before, people are doing everything in their power to use their knowledge in order to provide their living surroundings with the necessary green surfaces. Most of these projects are based on the architectural knowledge and it has been scientifically proven that building such projects in the areas where there are little to no trees, might significantly improve the mood of people who live there. We live in a modern and commercial society where everything is seen through the capital return, cost and finance which means that the developers have certain restraints and rules they need to follow when they plan on their projects. Still, the truth is that as our population continues to grow, so will our need to improve our environmental performance and with that comes the need for architectural accomplishments. The more of us on this planet, the greater that need will be but architecture can be used for so much more than just building things. Most of the time, architecture means improving the quality of living through improving our living surroundings by adapting those surroundings to better suit our various needs. Architecture can indeed change the world as we know it in many ways. Those changes are positive changes that are usually related to different aspects and forms of development. Architecture provides us with the physical environment that we use to live in but it is so much more than just that. It is a form of art but many consider it to be science as well. It has been changing the world since its inception and it still continues to do so even up to this very day. In a way, architecture is leading into changes. Each project means to change the current state of things as they are at the moment. In the past, many scientists and professionals, experts and specialists used to call architecture as the forerunner of positive and good changes. The entire notion of architecture is how to change something and make it better than it was. So, if you look at it like that, you can safely assume that architecture changed the world and for the better. If we look back into our past 10 000 years ago, there were no buildings or constructions that could even resemble our civilization. Today, the constructions are the very monuments of our civilization and they stand as a direct expression of who we are and what we can do. In order to apply a change, an architect must work with other people in order to see the main idea of that change followed through. With that in mind, we can conclude that architecture is the only art that affects our working environment, towns and people that live in those towns and their time schedules as well as their relationships. Some scholars are going even further in explaining that architecture changes the world in a way that it represents and creates the very centers of entire human civilization. The main goal is to use the world around you to make your life better but use it in a way that will not hurt your surroundings but rather just adapt and adjust it to your needs. Architecture helps us to get better living conditions as science and become more profound as a species as a form of art. The way we perceive the world around us can be easily changed by a complex application of architecture. As we can see, it has an immense impact on us and the world we live in. 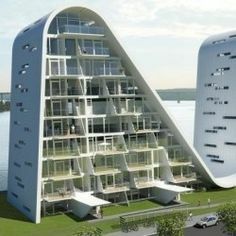 Architecture is also a way how we as a society can use it as a changing force in order to make our society even better. By creating a living environment of the highest quality we greatly improve the quality of our lives. As our society changes, we change too and so does the world around us. Not only that architecture changes the world, but it also changes the way we perceive things. It changes the conditions within our very society. Finally, architecture is a form of cultural identity. Many people aren’t aware of the emotional impact that architecture has on our society. The angles and shapes of our surrounding habitat and environment can deeply affect the way we interact with the people and space around us. Architecture has a social and emotional impact on people. Factors like light and airflow and many more point that architecture is more than just a smart arrangement of bricks and other materials. Architecture is a whole approach that can greatly help to produce not only beautiful buildings but entire communities. Everything starts with a design. It can be a compassionless and thoughtless space or it can have a unique ability to make people feel dignified, seen, honored, respected and valued. If architects commit themselves to serve greater and public good, then well designed spaces will not be just a question of aesthetics and time. Such spaces will be able to shape the way we see ourselves in this world and give us the perspective of who we are and what we want and deserve. Architecture is present everywhere, in everything we do and every aspect of our lives is intertwined with it. It helped music to evolve, it has grown into an entire philosophy. There is no doubt that architecture affects how we feel in numerous ways. There is evidence to support that. We live in an era that is scientifically called an era of neuro-architecture and that means that the design of buildings we live in and pass by each and every single day affects us emotionally and psychologically. City designers shaped our buildings but now our buildings are shaping us. The buildings around you can greatly affect your mood and well-being because we have a special region in our brains called the hippocampal region which is attuned to the space arrangements and geometry of our natural habitat. So, the space we inhibit shapes our emotions and has the ability to change our mood. The potential of cognitive effects is not yet fully discovered but it is true that architecture shapes our behaviors. When it comes to any sort of nonresidential construction activity, there is a leading monthly economic indicator under the name of Architecture Billings Index or ABI. It’s lead time is approximately 9-12 months, depending on conditions and project duration and it was derived from a survey called Work on the Boards held by AIA. The purpose of that survey was to gather all available data on any shifts and changes in billings from all sorts of architectural company leaders during the period of at least 20 years. The gathered data results provided a tool of trust for construction and design industry that used that tool to track and predict all movements in the world markets across the globe. That tool became a standard tool in the architecture industry for market analysis and acquiring the necessary and valuable market intelligence. Such intelligence was extremely precious and useful to countless international investment groups of all types and sizes as well as major media. That same intelligence provided all of them with the necessary indicators that were important for assessing business conditions of the world markets. If you as a company want to participate in any architectural endeavors on the world markets, you need to keep up with the latest standards all the time. To keep up, you need to use all available data in order to properly find and target only those business opportunities that directly complement your business strategy. In order to do that and stay relevant in the order of things, you need to keep track of local business conditions and economy and also make comparisons of your company to all others that are representing competition. That is where ABI can help you because it will allow you to develop a good and firm strategic planning that will determine your business cycle shifts. In this rapidly changing economy timing is everything and ABI will help you to seek leads, manage your RFPs, prepare yourself for any market movements and manage budgets. You need to be prepared for any changes, fluctuations in the markets and watch out for the latest trends in stockholder guidance and resource planning if you are looking for a way to expand. Therefore, using Architecture Billings Index will help you to better integrate all that data into your own way of doing business in order to get the best results. If you want to choose architecture for your career but you do not have the necessary education to support your decision, you will be pleased to know that there are numerous architecture career courses that can greatly help you to achieve your goal. So, the good thing is that there are ways if you are into pursuing a career in architecture. With a really wide range and variety of online courses, you can easily acquire the necessary knowledge to start doing what you love for a living. It is important to understand and comprehend the foundation of such a matter if you are to find your dream job. Before you can start doing and making miracles, you first need to understand how things work in architecture and that is where a good career course will be extremely helpful. Architecture is a vast occupation with a lot of roles of different types so it would be good to do some research before you actually take the course. This is only to make sure that you picked a sort of role that actually complements your future career endeavors. A simple example is related to people who like architecture but have not studied it before so they are new to the field. 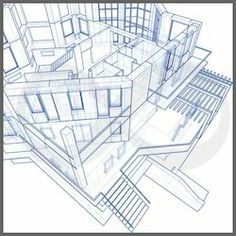 In order to get into this matter even further, they need to choose something that is closely related to architectural science in order to get the skills that they can apply for various architectural specialties such as community development, heritage preservation, building conservation, environmental research or urban design. Architects can do extraordinary things. The trick is to combine practicality with creativity involving planning, design and building constructions. By using environment and landscape, an architect can create sustainable and stunning designs for context and various functionality. Anything is possible when an individual possesses such skills. Therefore, in an area as vast as architecture, one must focus on what they really want to do before they start doing it in order to reach the maximum of their potential. Finish a course and find your dream job as soon as possible. Architectural history is very diverse and many experts and specialists agree that it is impossible to avoid mentioning a classical text that is considered to be the mother of the architectural treatise. Such text is called Vitruvius’s De Architectura libri decem and it predates from the ancient Roman Empire during the era of the Roman Emperor Augustus. Many agree that is where we can find the roots of all architecture and any other preoccupation that was characteristic for architecture. The manuscript itself was discovered in 1414 by Poggio Bracciolini and ever since the fascination with this discipline and its origins continues to exist. Architecture used to be called simply the art of building in the past before it got a bigger philosophical meaning that related architecture with the dawn of civilization. The very first origin related to first humans getting together, starting to communicate and eventually build and construct the very first forms of shelters by using the environment around them and the materials it provides. That is how the very first architectural endeavors such as excavating caves and arbors with tree boughs came to be. The more they constructed, the better they became at it and soon their needs exceeded mere sheltering. That is how they managed to progress towards perfection in building which eventually, after so many years, led to what we know as architecture today. What is really interesting is the fact that architecture varied a lot from one region to another. Depending on how the civilizations were evolved, their architectural abilities greatly differed. Some civilizations were far more evolved than the others and their architecture was far more advanced. With the evolving and advancing of civilizations, the art of building also evolved and advanced up to the point where builders started paying more attention to the luxuries and comforts of civilized society. In that time, the needs of civilized society became greater and more profound so the builders started working with various other artists and specialists in order to give the society what it needed. That is how architecture evolved, even more, becoming a lot more than just the art of building. Today, we refer to architecture as both a form of art and science. The truth is that architecture is extremely important for the history of our society and our identity as a human race. The Association of Archaeological Illustrators & Surveyors (AAI&S) has now merged with the Institute for Archaeologists (IfA) – this process was formally completed on 31st October 2011. The services provided by the AAI&S and its responsibilities to its membership will now be provided by the Illustrators & Surveyors Special Interest Group of the IfA – click here to view website. The Illustrators & Surveyors Special Interest Group will continue to build on the work of the AAI&S representing all those visualising archaeological data, focusing on issues relating to standards, training and employment whilst contributing to the broader discussions on the development of the archaeological profession as a whole. One of the most important things you should consider as an architect is the selection of the appropriate software that can be used in the drawing of structures, the design of structures and implement other such pertinent architectural functions. There are several software solutions that can be applied with one being Revit. Revit is an integrated software solution that is used for various functions including 2D and 3D drawing. In addition to that, Revit can also be used for image rendering functions making it ideal architectural software. In addition to Revit, another software that can be useful to you as an architect is 3D Studio Max. The Studio Max is preferred on account of its enhanced modeling capabilities and overall flexibility. AutoCAD is one of the oldest architectural software in the market. AutoCAD is most suitable due to the fact that it most compatible with other software that already exists within the market. In addition to drawing and image rendering, as an architect, you will also need image manipulation software. Photoshop is one of the most effective image manipulation software that you can use to attain most basic and even advanced image manipulation needs. The fifth and final software that you must know as an architect is Sketch Up. Sketch Up is one of the best software for new users and what makes this software ideal is the fact that it is a freeware meaning that you can obtain it for free by simply downloading it from the internet. Sustainable architecture is an architectural approach that seeks to minimize the impact of architectural works on the environment. There are several reasons why as an architect, you should opt for sustainable architecture.